﻿ What is Seamless Stainless Steel Pipe? Seamless stainless steel pipe is made through technological process of cold-drawing or hot rolling, profoundly influenced by various complex factors. The following are the detailed introduction about the seamless stainless steel pipe. According to the data in 2000, the consumption of seamless stainless steel is up to 41.80 million tons, 38.21 million tons of which come from inland, occupying 91.4% of the need of seamless stainless steel, and 3.59 million tons of which is from foreign countries, accounting for 8.59%. From the data in 2000, we can easily predict the huge number of consumption of seamless stainless steel this year. What a amazingly big data it is! However, although seamless stainless steel as well welded steel pipe is widely used nowadays, people rarely see it on usual time and even some people cannot tell what seamless stainless steel pipe is. What is seamless stainless steel pipe? Seamless stainless steel pipe, also called seamless tube, is a kind of steels having hollow section and shaping in roundness, square or rectangle with especially no seam being around, which is quite different from welded steel pipe which has seam on the surface thanks to its different technological process that welded steel pipe is made by bending steels into roundness, square and then welding. What's more, due to the hollow section, seamless stainless steel pipe is widely taken advantage to transport liquid as steel pipeline and on account that seamless stainless steel pipe is lighter on the same bending and twisting resistance, compared with welded steel pipe, seamless stainless steel pipe is economical section material, used in making structural member and machine parts such as the antistatic tube in the wind power plant. In the terms of the technological process of seamless stainless steel pipe, which is different from welded steel pipe, there two entirely different types: cold-drawing and hot rolling. Compared with hot rolling, the technological process of cold-drawing is more complicated. Moreover, in the look, cold-drawn seamless black steel pipe is shorter than hot-rolled one and the wall thickness of cold-drawn seamless stainless steel pipe is generally smaller than the wall thickness of hot-rolled one. What's more, the technological process of hot rolling needs high temperature which reduces the resistance of deformation so that a big deflection is achieved. 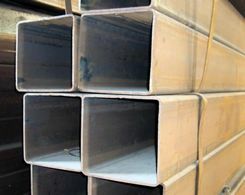 Various factors affect the quality of the seamless stainless steel pipe which contracts the welded steel pipe, such as composition, the wall thickness and so on. When it comes to composition, steel is the main composition of the seamless stainless steel pipe, which is profoundly influencing the performance while different alloy is chosen to add in the seamless stainless steel pipe which has different use. Moreover, the harmful elements, such as As, Sn, Sb, Bi and Pb, and the harmful gas must be strictly controlled in the making progress in order to decrease the harm for workers. Furthermore, mechanical property of steel is an important index promising the final usability, which decided by the chemical composition of steel and the heat treating regime. For example, the thicker the wall is, the more economical and practical while the thinner wall costs a lot on the process. 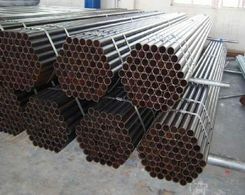 Generally speaking, as a different pipe from welded steel pipe, Seamless API steel pipe is a kind of steels having hollow section and shaping in roundness, square or rectangle with especially no seam being around and made through technological process of cold-drawing or hot rolling, profoundly influenced by various complex factors. Next:Attach a Coupler to Galvanized Steel Pipe?